TERRACE ROOFING IN CHENNAI Terrace Roofing Shed Contractor In Chennai. We Are One Of The Terrace Roofing Contractor In All Over Tamilnadu. We Are Doing All Types Of Roofing Work. Matching with the customers requirements, we are engaged in offering wide array of Terrace Roofing service . We are offering any type of roofing on terrace of commercial Roofing can be designed and executed by us. This type of roofing can be used for corporate canteen and other facilities. Moreover, our service is reliable too. The facility upgraded on a highly regular basis, helps us in the attainment of a better position in the market. For reasons of managing the operations of the firm, in the best possible manner, the facility has been parted into several highly operational units. Residential Terrace Roofing In Chennai Creative Interiors and Roofing’s are one of the leading roofing contractors in Chennai. We understand your needs and provide you the best roofing solutions. We provide quality materials & services. We also have Ex-Stock for Colour coated roofing’s, residential terrace roofing, sandwich roofing sheets, Puffed roofing sheets, Aluminium awnings, polycarbonate Sheet roofing and your fastest needs can be fulfilled by us. 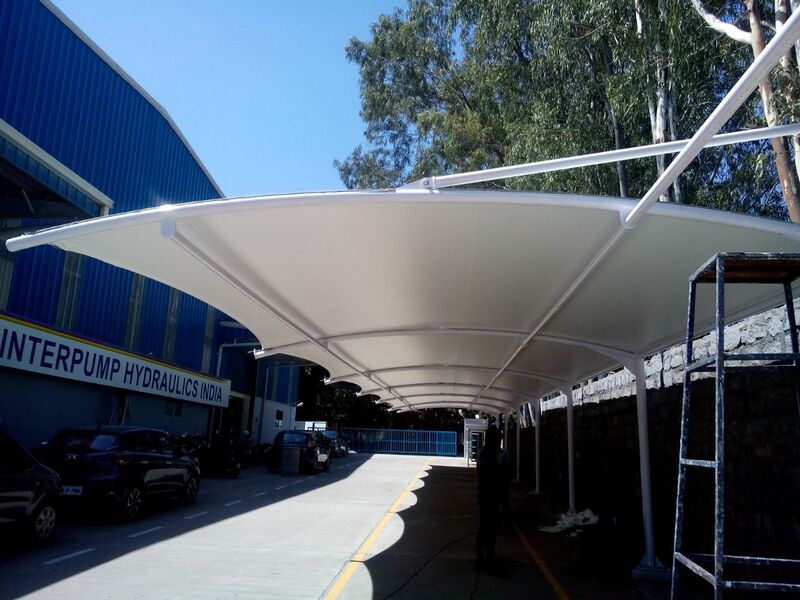 Canopy Manufacturers In Chennai Creative Interiors and Roofing’s manufacture and supply a vast collection of awnings and canopies that is widely used for decorative and protective purposes. These are available in variegated colors, designs, textures and finish, in accordance with the aesthetic tastes of our valuable clients. The offered products are fabricated from corrosion resistant material and are capable of providing burnish and attention grabbing performance for a longer period of time. These awnings and canopies are widely used over windows, terraces, balconies, restaurants, farm houses, buildings and other domestic and commercial set up.